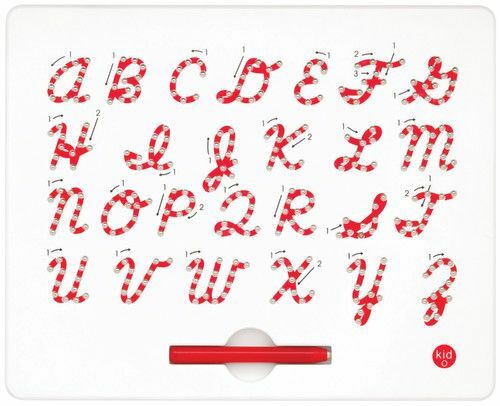 Help children learn proper handwriting formation with the sensory reinforcement of magnets. 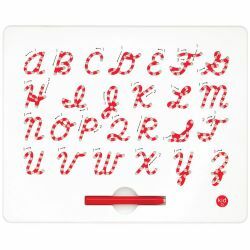 Use the directional arrows and trace each scripted letter or number with the magnetic stylus to feel the pull of the magnets and sound of the clicks. Erases with the tip of a finger! Stylus stores conveniently in board. Ages 3 and up.